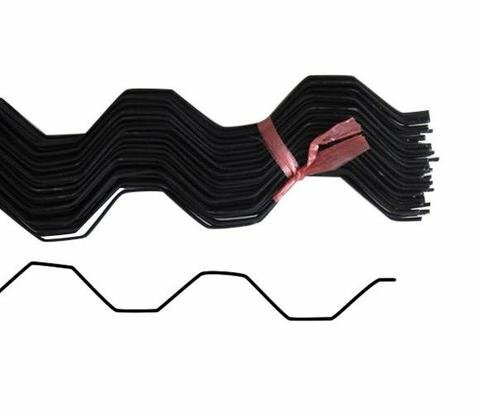 PVC Coated Wiggle Wire will help to ensure that your greenhouse can weather the elements and last for years. Unlike other attachment methods, Wiggle Wire will hold up to high winds and harsh environments. Protect your investments by using the right products. The PVC Coated Wiggle Wire prevents tears for a fast frustration free installation. This Spring Wire is the superior choice of Wiggle Wire compared to the non-coated version. The PVC coating prevents tears and is easier to handle. It is reusable and can easily be installed and removed by "wiggling" it in and out of the Lock Channel. Each piece is 6.5 feet in length. The wiggle wire will stretch to 7 feet when installed and is 0.083 inches thick. For use with poly greenhouse film, curtains, shade cloth and other greenhouse coverings. Aluminum U Channel sold separately. Start your own greenhouse today by clicking the "Add to Cart" button above!